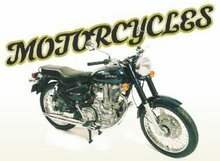 Random news and reports about all things motorcycles. Steve Wiedau struck out on his own a decade and a half ago to start his own motorcycle shop. Eight years ago he got a Triumph franchise, banking that the once-popular and recently revived motorcycle nameplate would be a hot seller once again. Every year he has sold more of the English-made motorcycles than the year before. Business has been so good, in fact, that Wiedau plans to double the size of his RPM Motorwerks showroom in the next few months. He recently sat down with News-Democrat reporter Scott Wuerz to talk about his business. Q: How did you get your start in this business? A: I started out in 1978 as a mechanic. I worked at Matthews Yamaha and at what was Belleville Power Sports. I started my own business as a service shop.